What Are the Advantages and Disadvantages of Whole Life Insurance? Some people say the disadvantages of whole life insurance outweigh the advantages, while others say it’s the other way around. 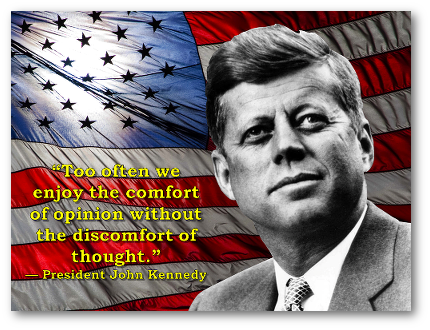 Everyone, it seems, has an opinion. Read on for some facts to base your opinions on. We cover each of these advantages and disadvantages of whole life insurance in depth below. You can also see more detailed charts of the pros and cons of whole life insurance here. Whole life insurance policy premiums are guaranteed for life. Premiums for other types of life insurance policies are not always fixed. Even term insurance policy premiums go up from one term to the next. Whole life insurance is permanent insurance. As long as the premiums are paid, the beneficiaries will receive the death benefit no matter when the insured dies. But with a term policy, you can be deathly sick as the end of the term approaches, however if you don’t die until the day after the policy ends, your beneficiaries will receive nothing. Whole life insurance policies guarantee the death benefit as well as the premiums. With other types of “permanent” insurance, the death benefit may be guaranteed, or the premium may be guaranteed—but not both. No other type of life insurance policy has as many guarantees as whole life insurance. Unlike term policies, whole life policies offer a range of living benefits. There are also little-known “supercharged” dividend-paying whole life policies, which you’ll learn more about below. Term life insurance does not build cash value. Whole life insurance does build cash value, and the growth of your cash value is guaranteed. And whole life insurance comes with numerous tax advantages. You wouldn’t normally take out a life insurance policy intending to cancel it a few years down the road, but sometimes that happens. If you cancel your term policy, that’s it. You cancel, you’re done. When you cancel a whole life policy, the cash value, if any, will be returned to you—so you’ll have something to show for all those premium payments you made. Whole life insurance guarantees coverage for the lifetime of the insured as long as premiums are being paid. It comes with living benefits that include guaranteed growth of cash value which the policy owner can access when and how they wish. Whole life insurance also guarantees the premiums and costs will never increase. With most whole life policies—and especially with the “supercharged” dividend-paying whole life policies described below—you can stop paying premiums at some point and convert your cash value to a “paid up” policy. “Paid up” means you don’t have to pay any more premiums. The fact that a whole life insurance policy has more features than plain term insurance means it’s a bit more complex, because owning something is more complex than renting it. (Compare owning a car to walking up to the counter and renting one.) But this No-Nonsense Guide will help you understand the complexities, and your life insurance advisor should be able to assist if something isn’t clear. Whole life has higher premiums than term life in the early years, but unlike term policies where the premiums usually increase at renewal time, whole life premiums remain level. Also, a portion of every premium dollar you pay goes to fund the savings component of your whole life policy, which gives you real cash you can access for any reason. Whole life insurance is permanent insurance. Your protection will be there when you need it, as long as premiums are paid. Whole life insurance builds cash value, and the growth of your cash value is guaranteed. In later years, cash value can pay your premiums for you. It can augment or replace other sources of income. It can help you finance major purchases, and more. You can download a free Report here that explains how you can become your own source of financing. Whole life insurance policies guarantee the death benefit as well as the premiums. Some forms of permanent life insurance guarantee the death benefit but not the cash value, or they guarantee the cash value but not the death benefit. Only whole life insurance guarantees both. Whole life policies offer a range of living benefits. See this article about the living benefits of life insurance for details. With most whole life policies you can stop paying premiums at some point and convert your cash value to a “paid up” policy. “Paid up” means you don’t have to pay any more premiums, but your policy will continue to grow and protect your family If your non-whole-life policy doesn’t guarantee your cash value, you may have to pay premiums until your dying day, to keep your policy in force. When you cancel a whole life policy, any cash value will be returned to you. You’ll have something to show for all those premium payments you made. Cash value is an asset—like money in the bank. Whole life insurance generally has higher premiums than term life now. Term life insurance generally has higher premiums than whole life later. Growth of whole life cash value, though guaranteed, may be less than the growth of investments which lack such a guarantee. Download this free Report to learn about whole life insurance policies that are supercharged, meaning they build cash value far faster than policies without these special design features, while reducing the commission the agent receives. Whole life policies have great flexibility in how they can be designed, in order to fit your unique situation, needs and goals. That makes them seem more complex than term insurance. Having so many options for how a policy is designed makes it critically important you work with a knowledgeable life insurance professional. Some agents have extensive training in structuring policies that maximize your cash value while minimizing the commissions they receive. You can get a referral to an agent with this advanced training, along with a FREE, no-obligation Analysis here. 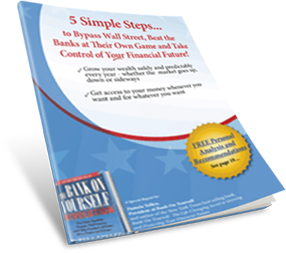 You can learn more in our free Report, Five Simple Steps to Bypass Wall Street, Beat the Banks at their Own Game, and Take Control of Your Financial Future. Bank On Yourself Authorized Advisors are specialists at designing whole life insurance policies that are “supercharged,” meaning they build cash value far faster than policies without these special design features. When you click that link and look at the comparison, you’ll see that a carefully-designed Bank On Yourself-type high cash value, low commission policy has nearly eight times the cash value at the end of the very first year, compared to the whole life policies most advisors know how to design. And over time, even the death benefit is greater which helps give you protection from inflation that you won’t get with term life insurance. How is that possible? More of your premium dollar goes into the cash value portion—and less goes to the agent in the form of commission. Can you believe that? Yes, Bank On Yourself Authorized Advisors actually take a significant commission cut, to enable you to have faster growth of your cash value and your death benefit, over time. Don’t You Owe it to Yourself to See How This Safe Wealth-Building Strategy Could Help You Reach Your Savings and Financial Security Goals? There’s a step-by-step process to discover what a Bank On Yourself-type plan can do for you. The process won’t begin until you take the first step and request an analysis by a specially-trained Bank On Yourself Authorized Advisor. But be careful who you ask to design your policy. Your current advisor may tell you they can do it, but if they haven’t been properly trained in designing “supercharged” whole life insurance policies, experience has shown that could result in your plan growing much more slowly, losing many of its tax benefits, or both.